Heraldry: Australian Heraldry in the News! Canadian Heraldry in the News! Australian Heraldry in the News! 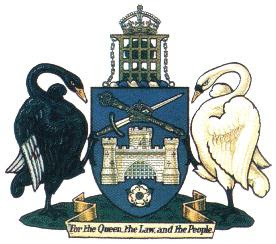 I've posted about the arms of Canberra in Australia before http://blog.appletonstudios.com/2012/09/heraldic-change-in-news.html and http://blog.appletonstudios.com/2013/04/heraldry-in-news.html), and here it is, in the news again! This time, it's a story about the Australian federal government transferring the documents granting the arms and the supporters from the National Archives, where they have been since 1953, to the territory, all as part of Canberra's centenary celebrations. There are some nice photos (not as nice as I would like, since it doesn't give a very good view of them) of the Letters Patent (the heraldry enthusiasts out there will no doubt recognize the three golden seal protectors for the seals of the three Kings of Arms of the College of Arms) as well as the seal and a seal impression of the arms. The ACT government may now have the possession of the Letters Patent granting the Arms, but that doesn't give them the ethical or moral right to usurp those arms as their own. 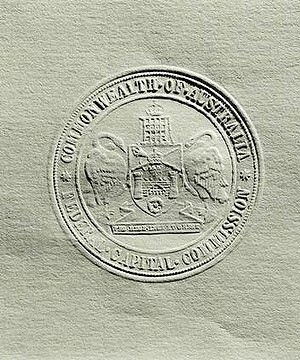 The arms were granted to one entity (the Federal Capital Commissioners for the City of Canberra) and do not represent anything outside the gazetted city of Canberra boundaries. The ACT needs its own arms, not usurp someone else's arms!